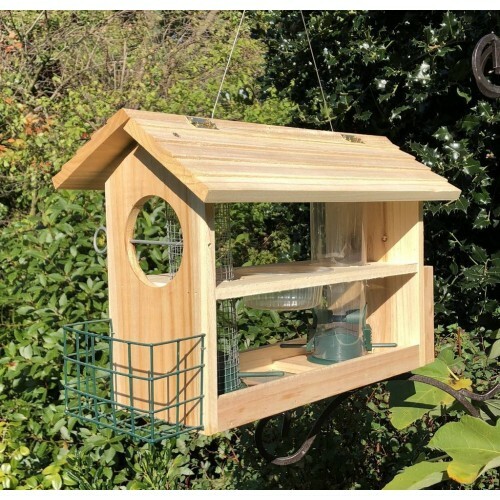 Putting out a variety of food attracts the largest number of speices of birds into the garden, and this feeder gives the opportunity to do it all in one! 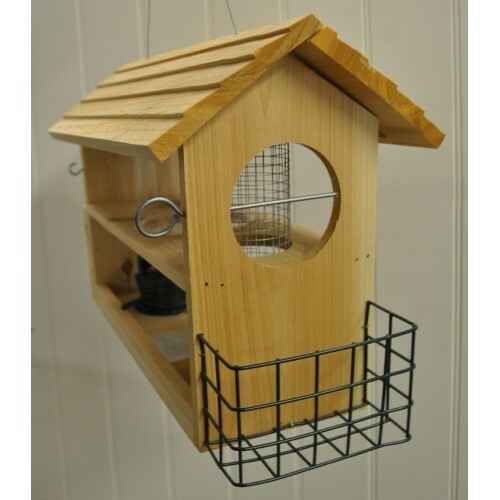 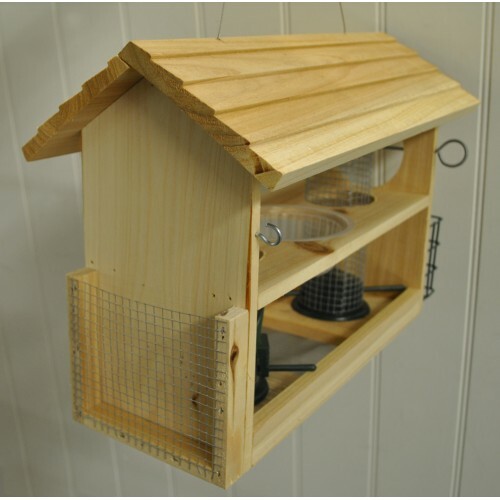 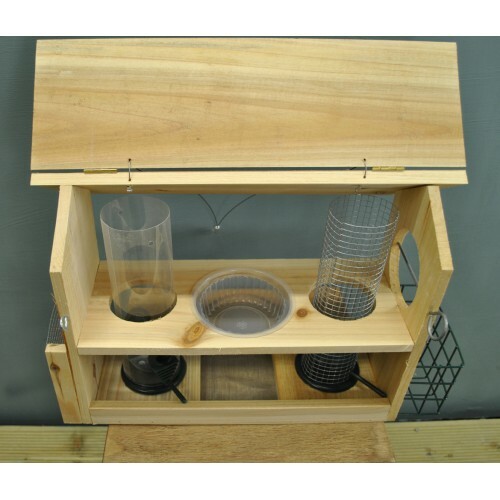 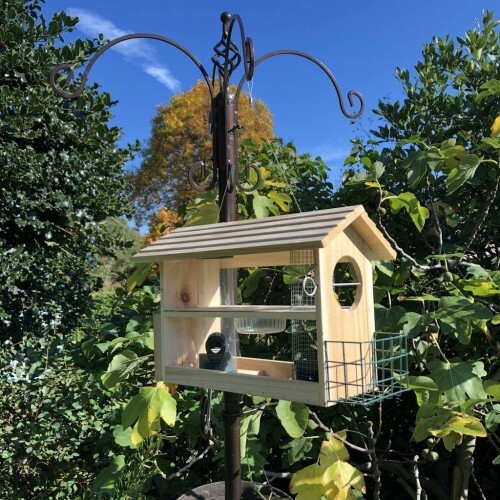 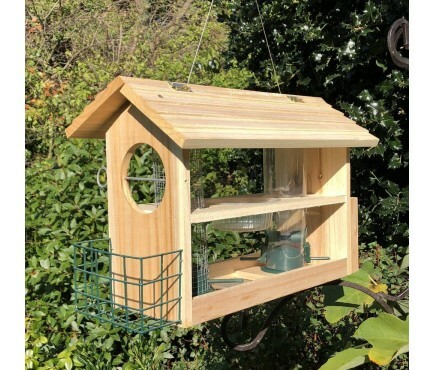 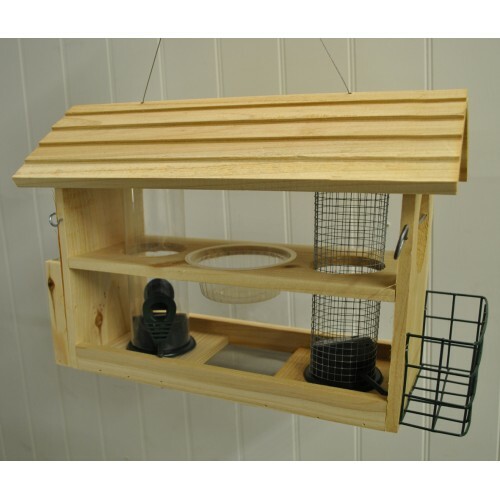 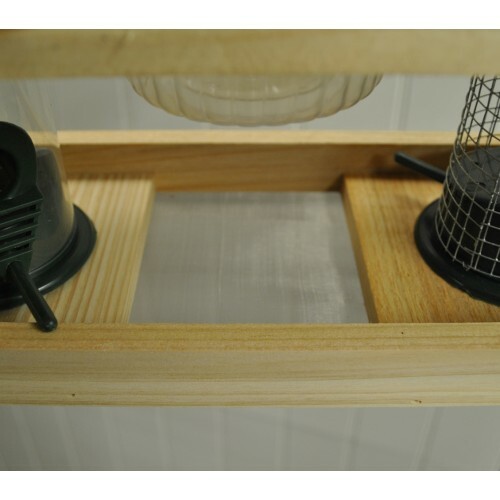 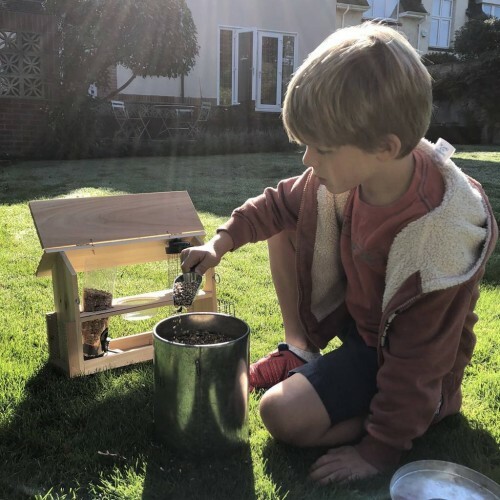 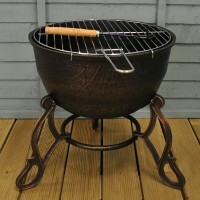 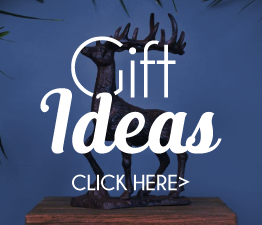 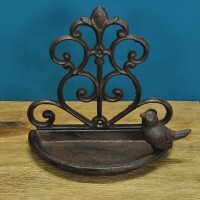 Made from wood with a hinged roof, it has a seed feeder, nut feeder, suet feeder, bread feeder, a water dish, fruit holder and hook for hanging another feeder from. 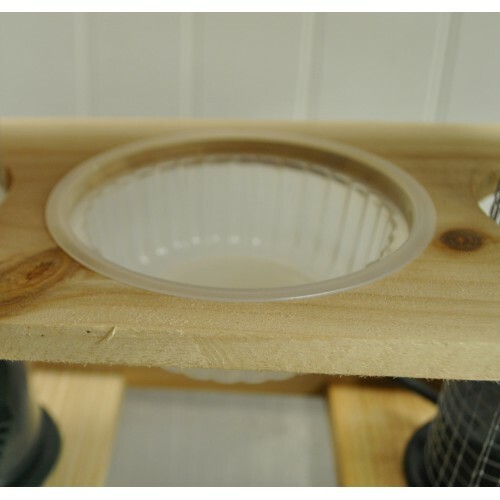 The base of the unit has mesh to allow water to drain through, stopping water logging, while the whole unit is suspended from a sturdy wire hanging hook.